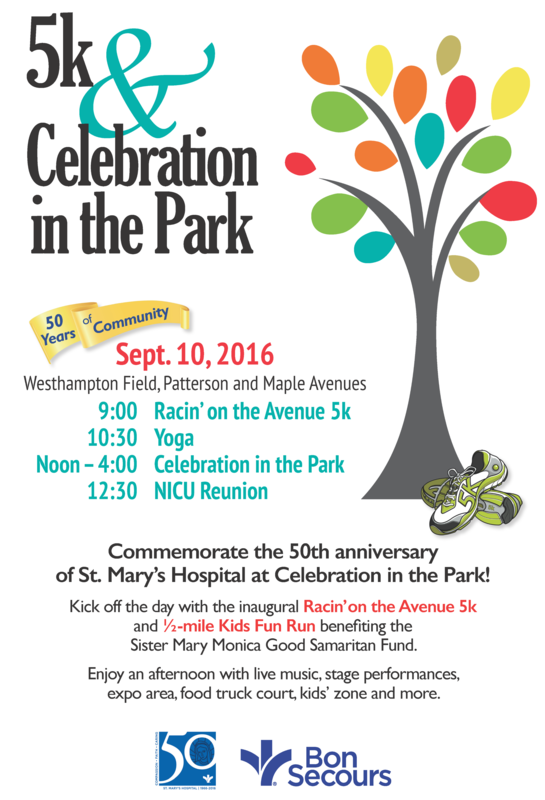 Kick off the day with the inaugural Racin' on the Avenue 5k and ½-mile Kids Fun Run benefiting the Sister Mary Monica Good Samaritan Fund. Enjoy an afternoon with live music, stage performances, expo area, food truck court, kids' zone and more. Learn more or sign up to run at www.bsvaf.org/SMH50.